Testimonial, Arthron 5 users provide the testimonial that indicated the positive effect on OA and RA health problem. I am native to Matane, a small city of Gaspesie. I studied law at the University of Sherbrooke. I have been a defense prosecutor of Quebec since 1985. I am 48 years of age and I participate in multiple sports regularly, such as badminton, cycling, skiing, hockey, hunting, and fishing. Since the year 2000, I’ve suffered from psoriasis arthritis. I’ve found pain in the joints of my hands, wrists, ankles, and feet that came with varying levels of pain at sporadic periods. In previous years I’ve taken anti-inflammatory drugs such as Vioxx, Celebrex, and Bextra. After the withdrawal of these pharmaceutical and government drug companies, I started using Arthron 5. The first effect I had from using Arthron 5 was a decrease in the inflammation of my joints. In the beginning, I was skeptical of the efficiency of this natural product, but after just one month of taking this product, I could confirm a slight improvement. This improvement progressed into an elimination of most pain from arthritis. After now that has been 6 months of using the recommended dose of this product, I’ve felt a significant reduction from the pain of arthritis. After taking Arthron 5 I feel much better. The reduction of the inflammation seemed to stabilize the degeneration of the joint tissue. I recommend Arthron 5 to everyone that suffers from arthritis. I am convinced that they will feel relief from the pain just after a few months of taking the medication. I am Jung Sun Sum, a mid-age Taiwanese immigrant in Vancouver. I always travel between Taipei and Vancouver for my work. I used Arthron 5. Recently, I found that it can release the pain that I’ve had for years. I feel I should send this letter to website www.arthron5.com to publish and let arthritis other patients know that they can also regain a normal life without pain after the use of Arthron 5. Below is my simple experience. When I was young, I was very busy in the company and in private life. Burning both sides of the candle. Eventually, I got many health problems as I was always very tired. My first health problem at 30 years old was hyperthyroidism. Secondly, I got Uterine Fibroids. After taking a surgery to cut it off, I believed that everything should’ve been fine. When I went back to work to my many jobs at the same time, not slowing down as I felt the full energy. When I was 45. The symptom has occurred. My hand was swelling and painful. The hong yung (宏恩) hospital in Taipei found Rheumatoid Arthritis from my blood. I had taken 2 years of prescribed medication from my doctor but the symptoms did not change. Therefore I went to Sum Ging (三军) hospital to checked out once again but the hospital could not confirm the category of Rheumatoid Arthritis. Later I went to Wen Man (荣民) general hospital and saw a famous doctor Lin How Yee (林孝义). After checking the blood, he confirmed that 3 of 5 pathogens belonged to Rheumatoid Arthritis. The doctor asked me to continue coming back. As the severe pain continued in my fingers I eventually lost the ability to move my fingers. I went to Chi Ji (慈济) hospital to get checked out. In the beginning, the hospital was very careful to test my blood, but they did not find anything, therefore they just told me to take painkillers. In that time, Hypothyroidism had come back with serious high blood pressure and Hyperlipidemia problem. Every day I took a lot of medicine. Later I went to Gun Sun (耕莘) hospital which near my home to again get checked out. I was not very concerned about my chronic disease, but the severe pain spread over the large joints in my body that caused me to lose my normal life. By accidental chance, I found Arthron 5. I did not really believe that it could work. If western synthetic medicine cannot help me, how could natural medicine? As I suffered from pain for too long, I said to myself I should try, otherwise, I may not have a normal life forever. After I used Arthron 5 for 5 months. The symptoms improved a lot, I felt I gained a new life. I would like to share the result of Arthron 5, it provides a great chance to remove the severe pain of my arthritis and I wish all arthritis patients living without pain, to enjoy a normal life. (This testimonial has been received at 2012 02 23. This lady was a professor at a university in Taiwan. she is a tenacious lady, under her hard work, success to cultivated 2 doctors son and daughter. later her blood test by 4 hospitals in Taiwan, the result indicated she had AS. but the HLA_B27 has been removed. this information was obtained from her by phone). Testimonial – Messages of users. 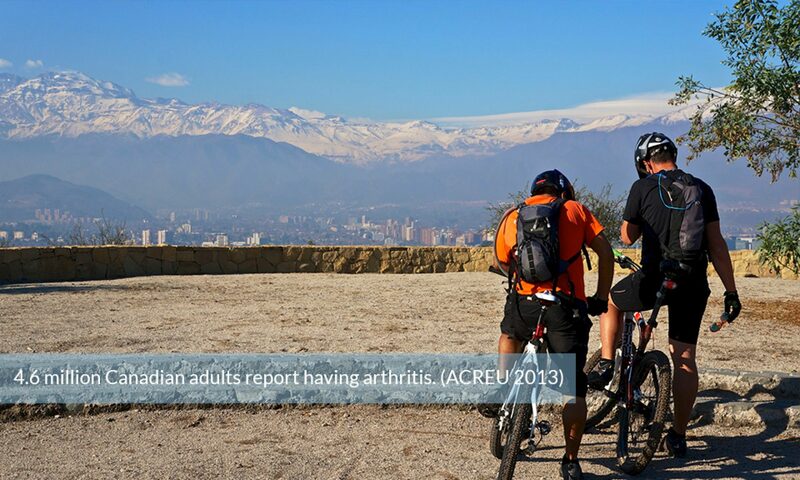 We do have received many messages come from our Arthron 5 users, they come from worldwide in the different language. We can not publish it as space limited. but we would like put some short one on. You are welcome to send your opinion on Arthron 5. Please write the shorter message. 1: ( receive 2018. 04 25) as the personal information, this message does not contain any private information. John, please send Joanne a note describing Arthron-5 and how it can address symptoms of arthritis. Mention its usefulness based on whether arthritis is new or more progressed. PS: Joanne you’ll notice that John’s replies always become the lowest thread, instead of appearing on top as the most recent. When you get a reply from John, scroll down to find it. Arthron 5 – provides a great help for AR. This is a letter for you to use as a testimonial. Please do not post my real name and address. After my doctor confirmed I have RA. Doctor and many friends care about me and indicated RA is similar to cancer. It cannot remove and it will be very painful and also cause much other health problem later. My son helps me to understand about RA and try to find a better medicine in Google. He found Arthron 5 image in ARTHRITIS CURE MEDICINE. It looks very special natural product. I should try. He said this Canadian licensed natural product looks made in very high quality. If it can help to recover, It should have very high value in medication. as my RA on the beginning stage, The suggestion is 6 bottles may Ok to remove it, it just cost about U$400.00. I ask my son to send a message to confirm how many bottles need. The reply was the same. After I use 6 bottles, The medical test indicates RA has been removed. my doctor surprised at the result. John, Thanks very much. 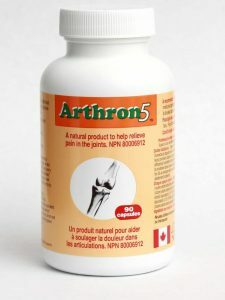 Arthron 5 is a really great product. hope all RA ( patients ) in the world know Arthron 5 can help.